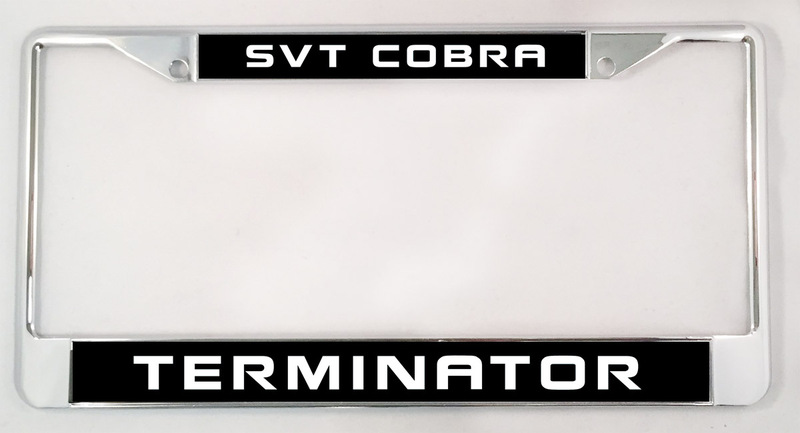 Chrome Metal License Plate Frame featuring "SVT Cobra Terminator." Custom printed inserts are weather and UV resistant. Note: Please check your state regulations regarding license plate frames before ordering.